Simply put, nothing is changing about the way we process or handle your data. We’ve always kept our users’ data private. While POPIA only holds us accountable for how we process South Africa users’ personal data, we’ve taken this opportunity to review our practices to ensure that our high standards for data privacy extend to our members within the Southern Africa countries. All the information that you provide us is handled securely and transparently. For more details, take a look at our updated Privacy and Copyright Policies, simply click the links below. We are busy making improvements to the DAN member portal. To ensure that there is clear communication between Divers Alert Network Southern Africa (DANSA) and its members it is extremely important that you notify DAN of any changes to your contact details. 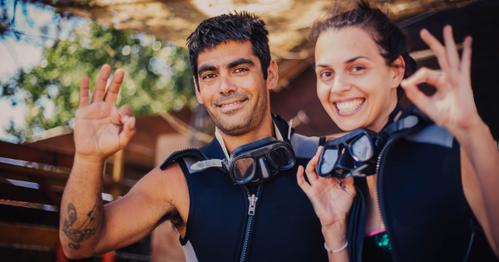 We prefer sharing important information such as the latest DAN news, renewal reminders, changes to the membership benefits, new safety products, dive research projects and more via email. Renewal and lapsed membership reminders are also sent via text message. In addition, there are a number of situations when we may need to contact a family member (or a designated alternative contact and therefore request current email, cell phone and physical address details). Such situations may be whilst assisting you due to a diving emergency, follow-up treatment or a general follow-up after an incident. Kindly update your contact details via the DAN member portal by clicking the “MEMBER LOGIN” link below. If you have forgotten your login details click the “FORGOT PASSWORD” link. Alternatively, you may contact the DAN office for further assistance via email at mail@dansa.org or via telephone on +27 11 266 4900.